From left to right: Jeffrey Buntin Sr., President of the Belvedere Club, Bruce Hepner, Consulting Restoration Architect, Rick Meyer, President of the Belvedere Golf Club, and Rick Grunch, Belvedere Course Superintendent. Charlevoix, MI – For over 95-years, the Belvedere Golf Club in Charlevoix Michigan has been a historic landmark in northern Michigan, and this summer the club, members, and local officials paid tribute to that history with a re-dedication ceremony. The event recognized the recent restoration work done to architect William Watson’s masterpiece from the original lost plans that were found last summer during the demolishment of an old building in Charlevoix. While aerial photos existed from the late 1930’s, there was no actual documentation of the original parkland design with its classic flowing fairways, strategic bunkers and subtle greens. More than 125 members of the golf club and Belvedere Club gathered and celebrated the history of the course and recognized key individuals for making it happen so fast. Bruce Hepner, the consulting restoration architect, and Superintendent Rick Grunch, who both coordinated the entire project, were recognized for their dedication in preserving this historical course and landmark. Hepner, a former Tom Doak disciple, has been highly regarded in the industry as a specialist when it comes to classic course restorations by legendary designers such as Ross, Tillinghast, MacKenzie and now Watson to name a few. Grunch, who received a special recognition citation from the golf club for his work on the project, has been a fixture at Belvedere for 25-year years. Living in the farm-house along the 7th fairway, you could say that he has become part of the fabric of the historic course. Grunch’s knowledge of the course, studying the plans and aerials from 1938, and construction work was vital to the success of the project. This included building new bunkers, reshaping contours to tie in with existing ground conditions and flow of the land, as well as re-establishing all the expanded areas around the green complexes. The restoration work has brought back many of the strategies for playing the course that Watson originally intended. The highlight of the celebration was the unveiling of a new dedication plaque of William Watson and his work on the Belvedere Golf Club. 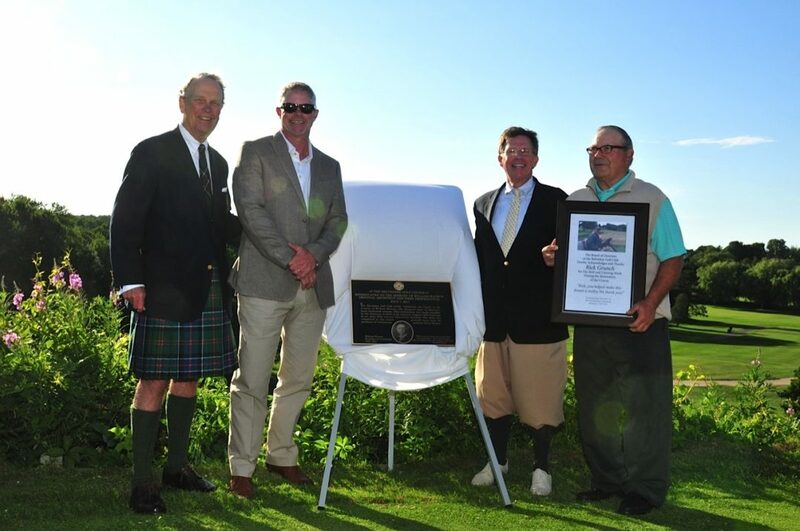 The historic plaque will now reside on a large stone adjacent to the first tee. The original course was designed in 1923 by Watson who is famous for classic and major championship designs across America including Olympia Fields in Chicago, Interlachen in Minneapolis, The Olympic Club in San Francisco and others. With five teams of horses and 150 men, the brilliant Scotsman turned a farm on the outskirts of the small Lake Michigan village of Charlevoix into one of the most iconic and enjoyable courses in America. 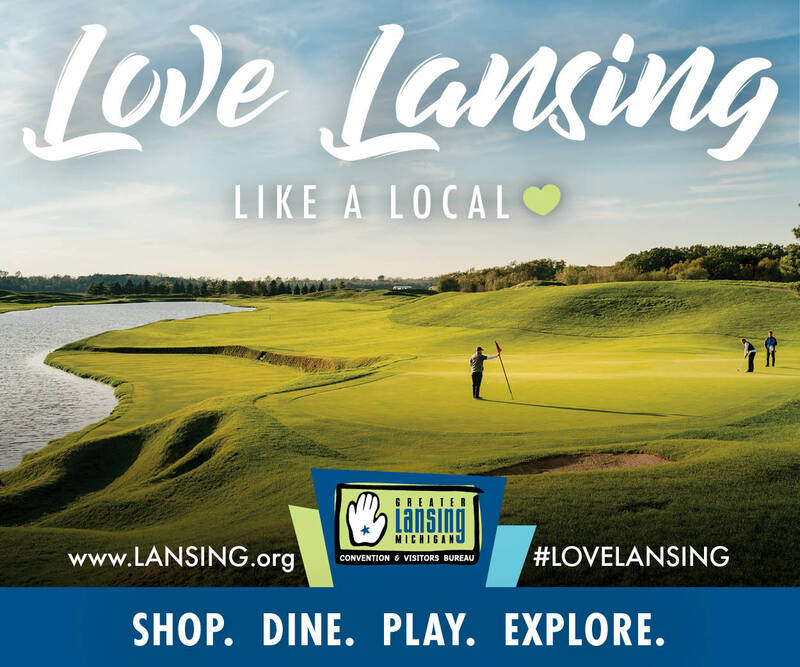 The course has long been a favorite of many golf greats, including legend Walter Hagen, who won the first Great Lakes Open at Belvedere, and five-time British Open winner Tom Watson, who as a youngster honed his game playing summers at Belvedere. He remains a member today and loves to return to play the before-mentioned 16th hole, which he describes as one of the great par fours in America. Home to the Michigan Amateur for 40-years and the annual Belvedere Hickory Open, the course was recently named 2016 Michigan Course of the Year by the Michigan Golf Course Owners Association. Belvedere is pure golf as it was meant to be played. 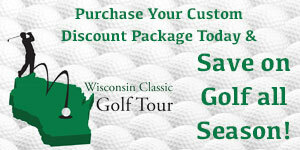 If you haven’t experienced this wonderful historic course, make sure to add this on your next trip to northern Michigan. For more information about the Belvedere Club, which is open to the public, visit www.belvederegolfclub.com.